Raise your hands if you're game for another cool promo from Wingstop! At a time when hustling hard is the name of the game, calendars are fully booked with deadlines, meetings, events, and then some. It gets pretty crazy and Wingstop totally gets that. Nothing beats getting some downtime with the crew, which is why Wingstop is giving you a reason to take a break and gather the family for a no-fail meal to share and enjoy. 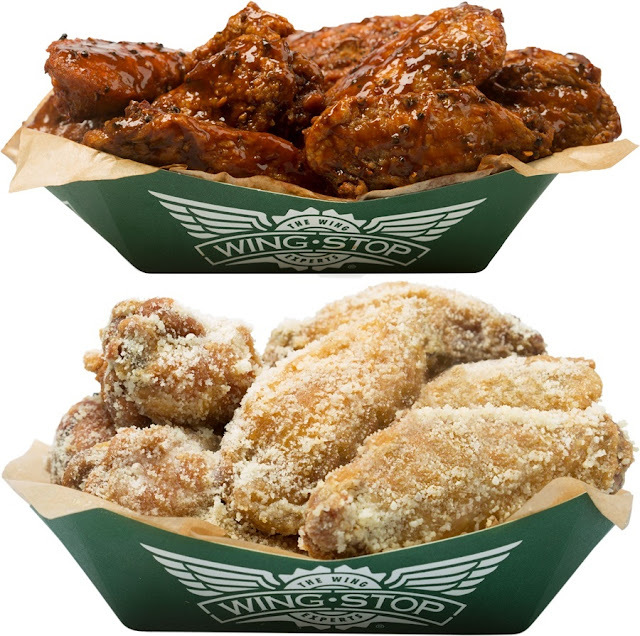 If you're looking to cure your crave, Wingstop has got you covered with its latest #WingItTuesday promo. Wingstop, the Flavor Company, wants Tuesdays to be your new favorite day with their #WingItTuesdays promo! Every Tuesday, you can enjoy 20 pieces of their top-selling Batter-fried wings worth Php 799 for only Php 499, from September 20 until November 29. Enjoy the hustle and satisfy your crave with the #WingItTuesdays promo. Every Tuesday, you can choose 4 of your favorite flavors for every 20-piece order of Batter-fried wings. Whether you plan to enjoy their mouth-watering wings all by yourself or share them with a few lucky buddies, Wingstop wants you to get at it, stat. Atomic and Garlic Parmesan, yum!!! 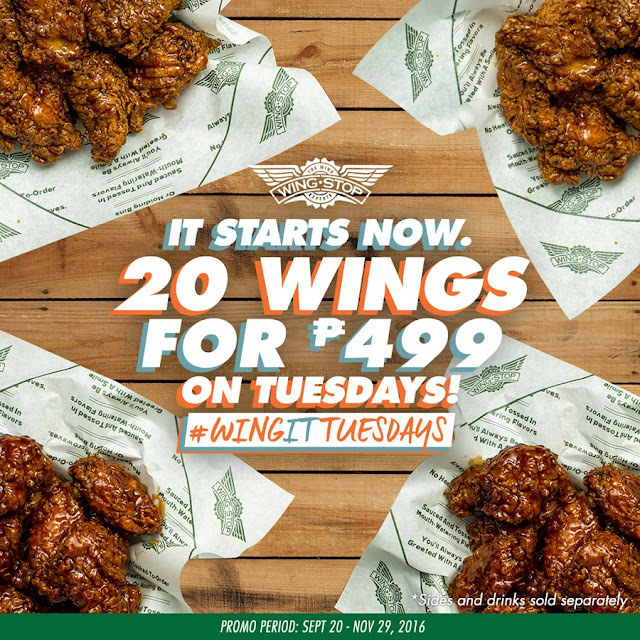 The #WingItTuesdays promo is valid for pick up, dine in, and take out in all Wingstop Philippines stores. Dare to wing it because nothing lasts forever. Grab your flavor fix and set your alarms for every Tuesday until the end of November today.